The lithium-ion batteries we rely on to power our smartphones and electric cars use a liquid as the electrolyte to separate two electrodes. If Researchers were to develop a solid electrode, it could mean greater storage capacity and a safer battery. A new research paper from Engineers at the Massachusetts Institute of Technology (MIT) could open the door to a solid electrolyte lithium-ion battery by revealing new details on the major problem associated with solid electrolytes. In the past, Researchers have tried to develop a solid electrolyte by trying to determine its optimal firmness. However, the new paper indicates that Researchers should be focusing on developing an optimal smoothness for the electrolyte. In a battery, an electrolyte is the substance in between the positive and negative electrodes; a kind of 'meat' in the battery sandwich. As a normal part of the charging or discharging process, ions pass through the electrolyte from one electrode to another. 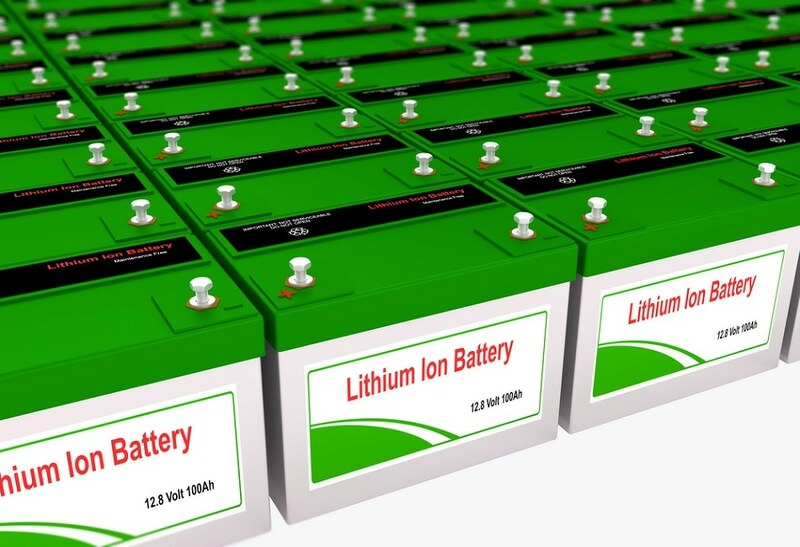 Liquid electrolytes can cause lithium-ion batteries to burst into flames. Also, during the charging process, liquid electrolytes are highly-vulnerable to the formation of branched crystalline structures called dendrites that can damage a battery if they extend from one electrode to the other. Most research efforts have been focused on finding a solid electrolyte with the right amount of firmness to prevent the formation of dendrites. However, the new paper, published in the journal Advanced Energy Materials, found the sheen of the electrolyte exterior actually matters most. Incredibly small dings and scratches on the electrolyte’s exterior offer a toehold for the metallic deposits that are the seeds of a dendrite. In the last few years, research groups have been trying to create solid electrolytes as a way of making lithium metal electrodes possible. There are two predominant types of solid electrolyte being researched: lithium phosphorus sulfides and metal oxides. With all these study attempts, the main thought was that the material required has to be rigid, not elastic. However, these materials have been inconsistent and produced mixed outcomes in lab tests. In the new paper, the team tested four kinds of prospective solid electrolyte materials and watched how they behaved during charging and discharging cycles. The MIT team found dendrites actually develop in rigid solid materials via a totally different sequence than those that type in liquid electrolytes. On the solid surfaces, lithium from one of the electrodes can get lodged, via an electrochemical reaction, onto any small defect on the electrolyte’s exterior. As soon as the first deposit forms on such a defect, it starts extending into the electrolyte from the dendrite’s tip, forcing its way into the solid like a wedge and opening a wider and wider crevasse. It’s the crack propagation that leads to failure. It tells us that what we should be focusing on more is the quality of the surfaces, on how smooth and defect-free we can make these solid electrolyte films. The study team concluded that being able to eliminate significant surface defects could get rid of, or significantly lower, dendrite formation in batteries with a solid electrolyte. If, based on the study's results, a solid electrolyte could be developed, it would also eliminate the flammability associated with liquid electrolytes because it would open the door to a solid lithium metal electrode. This type of battery would also have double to energy storage capacity of conventional batteries, the MIT team said.